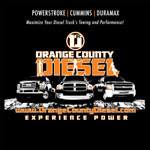 Manufacturer Info: Stage 3 68RFE Package - 2010+ Dodge Ram, 2wd Part # 3099322356 2010+ Dodge Ram 2WD, Stage 3 Auto Trans Package. Includes: - ATS Built 68RFE Auto Trans - ATS 5 Star Viskus Clutch Drive Torque Converter - ATS Extra Deep Transmission Pan - ATS CoPilot Pressure Controller - ATS Billet Flex Plate ATS started R&D in 2007.5 and spent countless man hours and resources re-designing and strengthening the platform. This began with building our Five Star converter for the transmission. It features a billet cover, five square tab lock-up clutches, billet stator, furnace brazed impeller, billet piston and HD bearings – all stalled to the Cummins torque curve. Capable of handling 2500 ft/lbs of torque, this torque converter will handle whatever is thrown at it. ATS offers various stages to the 68RFE platform to meet certain power levels and uses. Contact ATS to discuss which stage transmission would be best for you. All ATS 68RFE Packages come backed with a 5 year / 500,000 mile warranty. The ATS Stage 3 68RFE Package is designed for up to 600 rear wheel horsepower and comes with: ATS Billet Flex Plate ATS Five Star Torque Converter ATS 68RFE Co-Pilot ATS built 68RFE transmission Deep Transmission Pan Reinforced forward hub and shaft Reinforced intermediate shaft and hub Modified pump Modified valve body Torque Converter Regular Valve Upgrade The Torque converter regulator valve has been redesigned to prevent over pressure and ballooning of the converter. This also regulates minimum converter charge for proper cooling and lubrication of the transmission gear set. This redesign eliminates the common problematic valve and bore ware that is usually the first cause of high mileage transmission failure. Pump Upgrade The main pressure regulator circuit is modified to enable a broader range of pressure that can be commanded from the Co-Pilot. 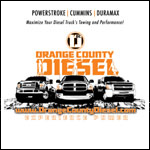 This allows the pump to lower line pressure when the engine is at low loads and more responsively raise pressure above stock to react with increased engine torque and horse power levels. Low Sprag Upgrade Next, we removed the plastic low sprag and replaced it with a metal clutch. Due to physical limitations inside the transmission, there is no way to make it physically larger. However, we bypass its use when paired with the Co-Pilot, thus eliminating failures between 1st and 2nd gear. Reinforce the Forward and Intermediate Shaft Hubs A common failure on the 68RFEs are cracked shaft hubs. Even with stock power, the hub can begin to crack near the point it meets the shaft. ATS reinforces this area to avoid torsional stresses that can cause catastrophic transmission failure. This is a standard on all ATS 68RFE packages. Reinforce the Rear Planet Pinions Modified power or towing frequently can cause the rear planet pinions to loosen and cause catastrophic transmission failure. ATS reinforce the pinions to prevent any movement of the pins – thus eliminating failure from the factory design. Clutch Pack Upgrade For power levels over 400hp, the clutch packs need to be addressed. ATS built 68RFEs feature extensive machining to the pressure plates to add: • The Under Drive (Forward) clutch pack surface area is increased by 21%, using single sided clutch plates. • The Over Drive clutch pack surface area is increased by 17%, also using single sided clutch plates, this allows for better clutch control when overdrive is used at higher power levels. • The 2C clutch pack surface area is increased by 34%, using double sided frictions. • The 4C clutch pack surface area is increased by 34%, using double sided frictions. Valve Body Upgrade At this point, we needed to look at the valve body and build it around the ATS Co-Pilot features. The 68-RFE uses a non-synchronous, clutch-to-clutch design. This means that the shifts from gear to gear must be timed perfectly thereby releasing and applying a friction clutch to achieve a flawless shift. Because of the sensitivity of the hydraulic circuits, we heavily modified many areas of the valve body. Hydraulic oil flow is ported to certain clutch packs where additional pressure is needed. The accumulator piston seals have been redesigned to ensure hydraulic pressure integrity. The accumulator plate is made of high-grade material to compensate for the additional pressure that the accumulator pistons and springs exert during heavy power situations. Line Pressure and Transmission Control Upgrade We developed the 68RFE Co-Pilot to control line pressure, clutch timing, bypassing of the low sprag, and added nearly double the line pressure seen on a stock transmission. In many ways, the stock calibration and limitations within the TCM prevent a bulletproof 68RFE from existing. The ATS Co-Pilot eliminates these restrictions. Our Co-Pilot comes standard on all 68RFE transmission packages and automatically controls all the features needed to have a reliable 68RFE. ATS 68RFE's require an ATS Co-Pilot. The Co-Pilot features of line pressure control, clutch-timing and by-passing the low sprag accurately and completely control transmission operation. This is imperative towards reliability and performance in the transmission. The ATS 68RFE and Co-Pilot will work with an OEM TCM flash or H&S Overdrive Software. We do not recommend custom TCM calibrations or tuning as they can negatively affect transmission operation and reliability. Deep Pan and Eliminating Case Flex All ATS 68RFEs come with a deep pan. The pan adds extra fluid, features an aluminum-finned design, magnetic drain plug and is tapped for a temperature probe. One of its most important benefits is that it adds rigidity to the case. 68RFEs are known to have excessive case-flex, which results in a cracked bellhousing, tailshaft or main section. The ATS Deep pan eliminates flex and works towards avoiding a cracked case. Billet Flex Plate Upgrade Stock flex plates become a liability when power exceeds 500hp. To cure this, ATS Stage 3 transmissions come equipped with an SFI-Approved flex plate. The ATS Flex Plate is designed as a direct replacement to the factory unit. Factory crankbolts and OEM spacer are re-used on the ATS Flex Plate. A broken case, bellhousing, tailshaft housing, shafts or planetary/sun gears are not covered under the ATS warranty. Please consult the ATS Transmission Warranty for specific details.